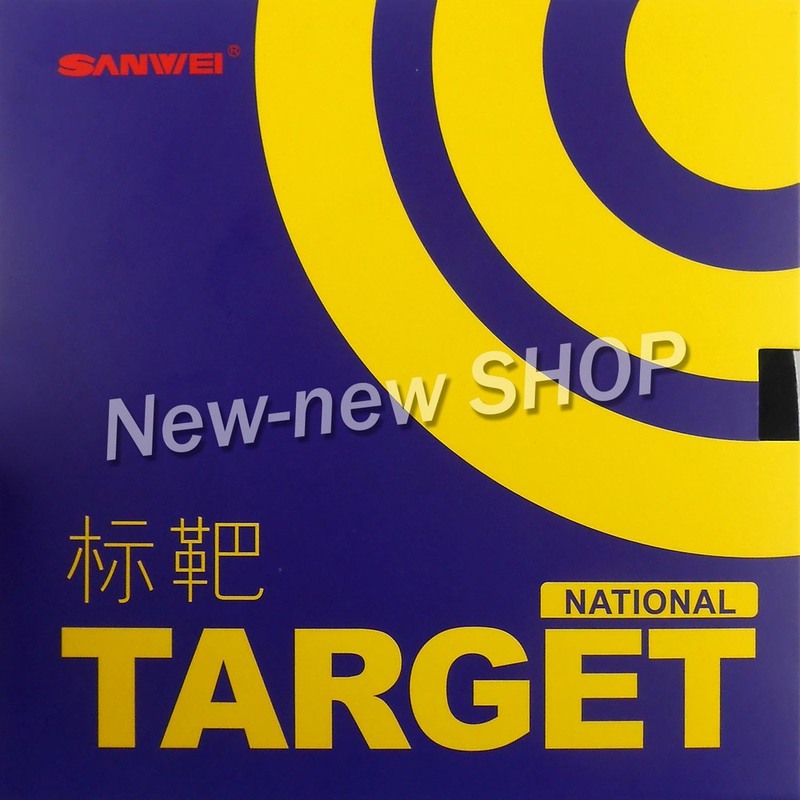 I recently bought 2 sheets of Sanwei Target "National" rubbers. But it costs way more than the price of YRD or YSD !!!! 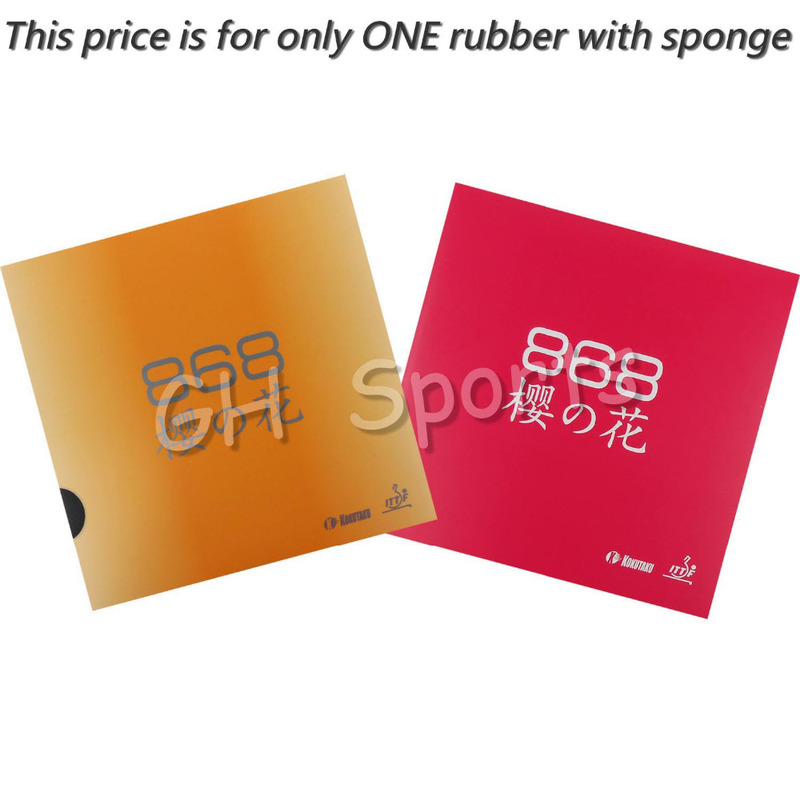 Does Sanwei have any kind of training rubbers worth using ? And there's "Provincial"... Note they even removed two corners. And this is precious. What's more expensive than National?? How about Continental. There's even a FX version! 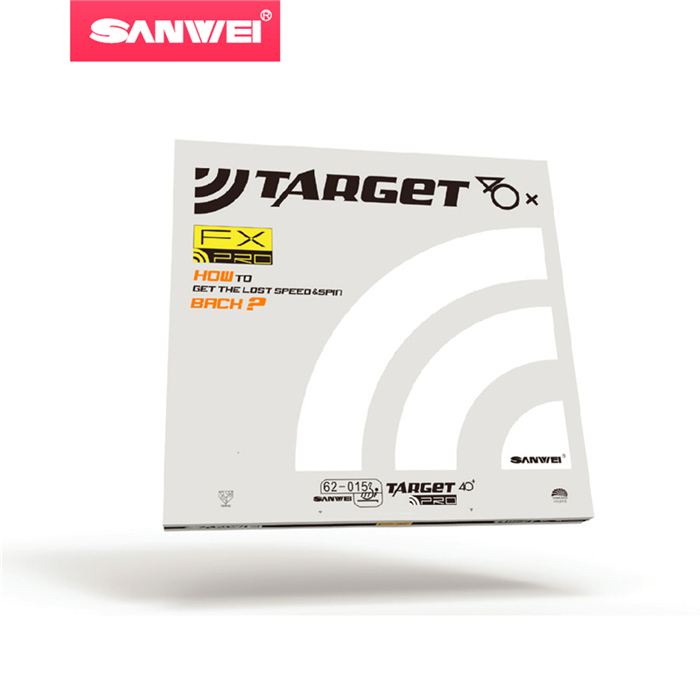 Sanwei "training" rubbers? Probably T88.. I've finally figured out "cake sponge"... Think, er, let's see - sponge cake? 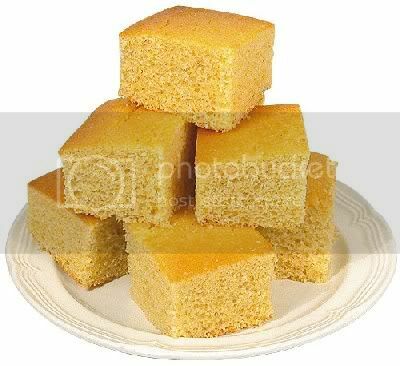 cornbread? 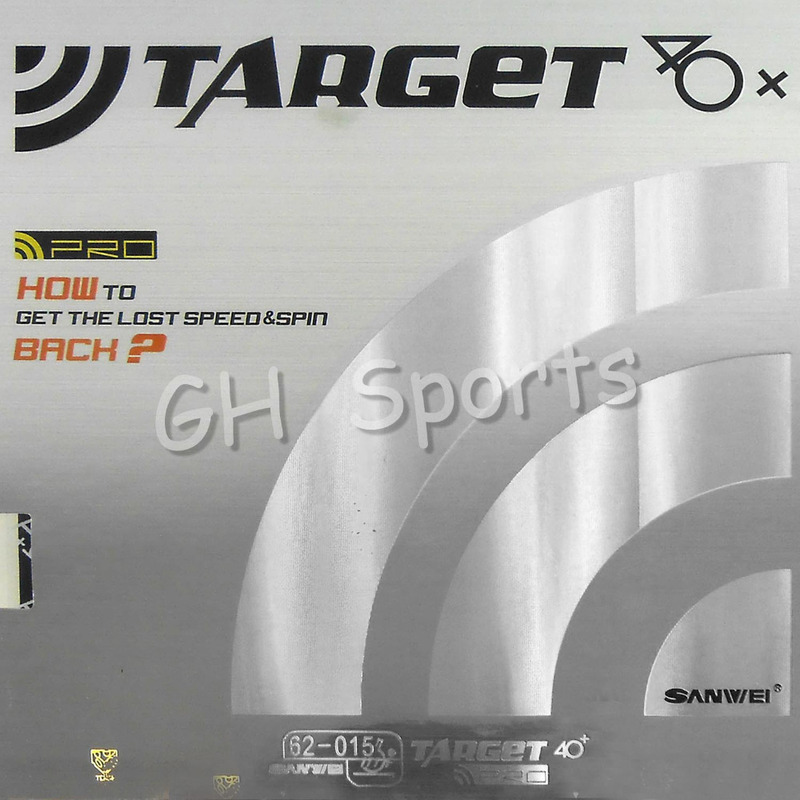 Target National shouldn't cost more than YRD/YSD. That's one expensive sheet. I paid less than that for Evolution MX-P. Target National should be less than half of that... I think someone got swindled..
Now, mind you.. H3 National is another beast altogether... You can easily pay double of what you'd pay for the Yasaka rubbers for that. Depending on which particular one you get..
Definitely NOT training rubber. This, in fact, is the most expensive rubber I've ever bought. Why did I buy this? As usual, out of curiosity. I was QUITE disappointed after trying Rasant and Rasant Turbo - I'd been using Chinese rubbers before that, and from all the reviews and hype, I was expecting monster spins and speed from these Tensor rubbers. I was also expecting that they'd be hard to handle - after all, things which are powerful come with a price, right? Nothing of the sort. OK, there was a little extra spin. With Turbo, it was a little easier to loop against backspin, BUT both rubbers turned out to be easy to use, even for the short game. In other words, underwhelming, especially when you see people claiming to get "twice the spin" out of Tensors compared to cheap Chinese rubbers. So thinks I, this time, let's try something certified as a Pro Rubber. One that comes with warnings that it's hard to handle. I was considering Tenergy 05, but the price... I thought maybe the hardest Rasanter might be the thing, but it's not locally available. So I settled for the next best thing - Tibhar's Evolution MX-P. Tenryu had this for a REALLY GOOD price, compared to what I would have paid from any of the European or American dealers, and that's even before shipping. Why MX-P, and not, say, EL-S, which would be more suited to my level of play? Well, MX-P is the hardest and probably fastest and hardest to handle in the line, which was in line with satisfying what I wanted to know. Would this finally be that super duper ultra high spin rubber that would be too difficult for me to handle? That only pros could use properly? I'll tell you later. Unlike other non-tacky rubbers of this sort, this one actually IS a little tacky, and comes with a neat (waxed paper?) protector sheet attached. Kinda hard to see, but it's got "Tibhar" written in gold letters. It does sort of peel off. And a view of the pores in the "cake sponge". This is a 2x2 cm area scanned at 1200 dpi. See it?? Yes, this sheet is HUGE. My sheets of Rasant and Rasant Turbo were 169x170 and 170x171mm. Palio Macro Pro was 169x169mm. The Evolution sheet has an extra centimeter of length, this amouts to an additional 6-7% in area. Which means the rubber isn't really heavy at ALL. There are quite a few denser ones out there. This also means it'll fit oversized blades. Which brings up another point. Who makes this sheet??? The obvious culprit would be ESN, of course.. but this doesn't LOOK like a typical ESN sheet. First of all, no Tensor or BIOS logos. Second, the packaging looks very different compared to the Rasants and to Palio Macro Pro. The size of sheet is larger. It's got a JTTA stamp on the front, and there's Japanese writing all over the package. I don't remember what Rasant and Rasant Turbo smelled like when I opened the package, so I can't say if this smelled any different but it DOES smell very different compared to Chinese rubbers (which smell like new car tires) - sort of a sickly sweet smell mixed with tire odor. This has often been described as "booster smell", but it doesn't smell anything like Seamoon, or Wendy's, or even Falco. None of this is definitive, of course - Tibhar is well known for not using ESN's trademarks (even though they do sell ESN rubbers), neither are Donic, Yasaka and Gewo. (I suppose it gives them the freedom to introduce sheets from multiple sources without having to reveal where they come from, and without the consumer being any the wiser.) I wonder if they have to pay NOT to use the trademarks, OR if they DON'T have to pay because they aren't using them... But it has been speculated that these sheets are actually made in Japan (by Daiki, probably, which also makes Nexy Karis and Stiga Calibra). Or parts of it are made in Japan. In any case, Tibhar is coy on this... they haven't said anything in the past about it. How does it play??? That was the big question. I've been using it now for a couple weeks at Social Doubles. I put it on a Sanwei M8 (#3, 71.1g) with Kokutaku 868 on the backhand. 167.61g. The setup I was using for the last few months involved DHS Tin Arc 3, and I'd gotten VERY comfortable with it, being able to loop pretty well, with a very good short game and serve return. What about the Evolution? Well, first, the good news. Aside from the first half hour or so, I could play as well with this as I could with the Tin Arc. Yes, there was a little more spin, and I could get a little more speed out of it. Problems with soft shots, brush loops, pushes, returning this penhold guy's screwy serves?? No. In short, it's a very controllable rubber, and is great for looping, while not being unmanageable for the short game. The bad news? Aside from the first half hour or so, I could play as well with this as I could with the Tin Arc. Yes, there was a little more spin, and I could get a little more speed out of it. Problems with soft shots, brush loops, pushes, returning this penhold guy's screwy serves?? No. In short, it's a very controllable rubber, and is great for looping, while not being unmanageable for the short game. In other words.. a very slight improvement over Tin Arc, which cost less than half of what I paid for this... If it were a matter of money, no, I probably wouldn't think I'd gotten my money's worth, especially since people report this rubber loses its oomph after a couple months. But for me, satisfying my curiosity - that was worth spending the money on. 7) Party People (tension sponge) $9.98 NO RATINGS!!!! Don't see mention of sponge hardness except for "Pyramids". None come in thin sponge variants (at least, not from Eacheng). "Two Oranges", "Green Apples" and "Party People" seem to be vacuum packed, probably introduced later than the others. Don't see any 40+ ball claims, though quite a few of them mention 44mm. Mind you, none of these rubbers would be allowed in most 44mm play (usually restricted to pips out, 1.5mm sponge). I suspect any differences between these rubbers to be (as usual) pretty subtle, if they exist at all. I read it all today due to me considering switching my backhand to something that is a little bit harder sponge. I'm now interested in trying a somewhat tacky traditional Chinese rubber for my backhand to force a more active stroke. It's funny but years ago I used to play with the 728-x stuff and went away from it. I disliked the tacky coming off of the rubber and it not feeling new for very long. The funny part is...by the end of reading this thread I actually have no idea what rubber to try out! Something thats under $5 I suppose. 1) Weight. 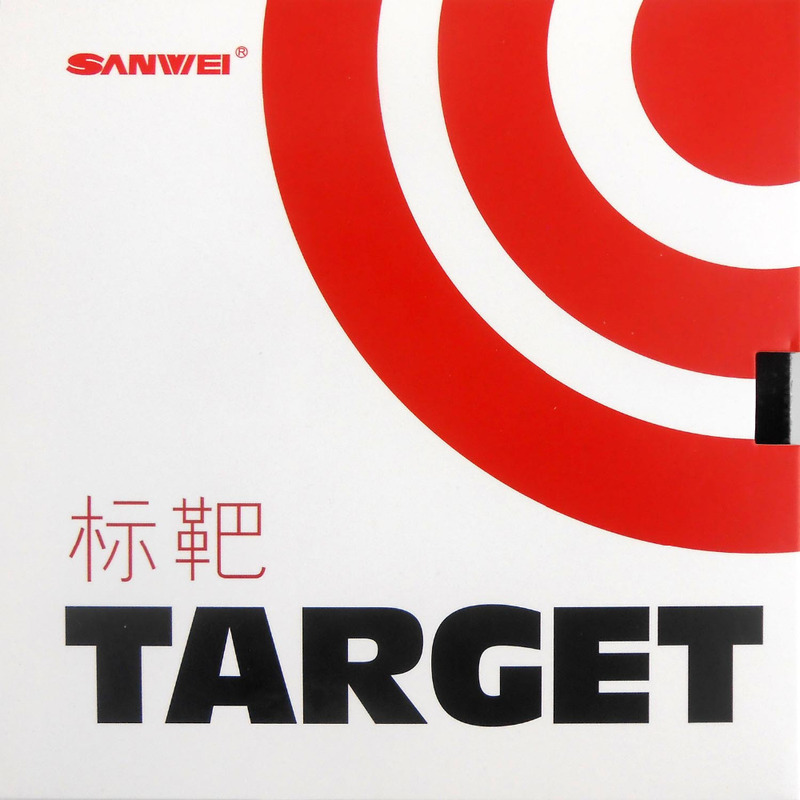 Sanwei T88-Highspeed (or Highspin, depending on which web page you go to) is bloody heavy. 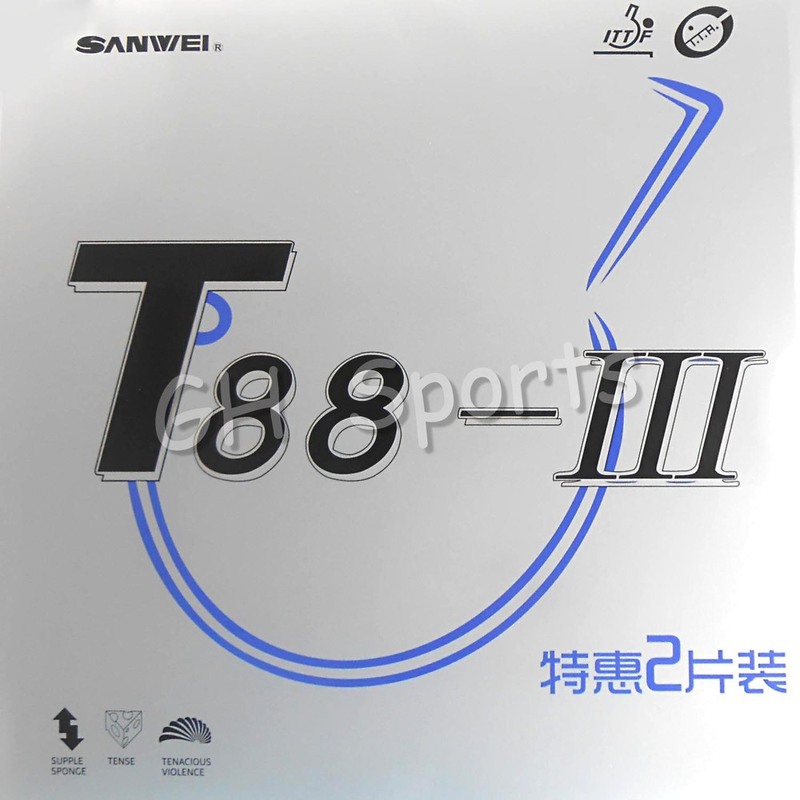 T88-III in the 2-for1 silver packet is OK (I've only bought one packet of these though). 2) Reactor Corbor is waaaaaay tacky in the beginning, and also is inconsistent when it comes to weight. At least with the batch of ten I bought a couple years back. Some really heavy sheets, some pretty light. But you can sometimes find it for $3.50 a sheet - just perfect for that rebound board you've been meaning to build..
3) Kokutaku 868 (the cheap version) seems OK, has slightly thinner than usual sponge (2.0 even though the pack says 2.2mm), but I've recently had sheets shed their topsheets (these were, admittedly, rubbers I've been storing for over 2 years - one was mounted on a blade and the topsheet came off when I tried to remove the protector sheet (which was stuck like it was glued on). I also came across one really heavy sheet. 4) Yinhe 9000 - the retail versions are (or at least, the ones I bought were) heavy-ish. The no-brand 2 for 1 pack ones (currently on GH Sports at AliExpress for $10.30 a pair) are excellent. Kokutaku 868. 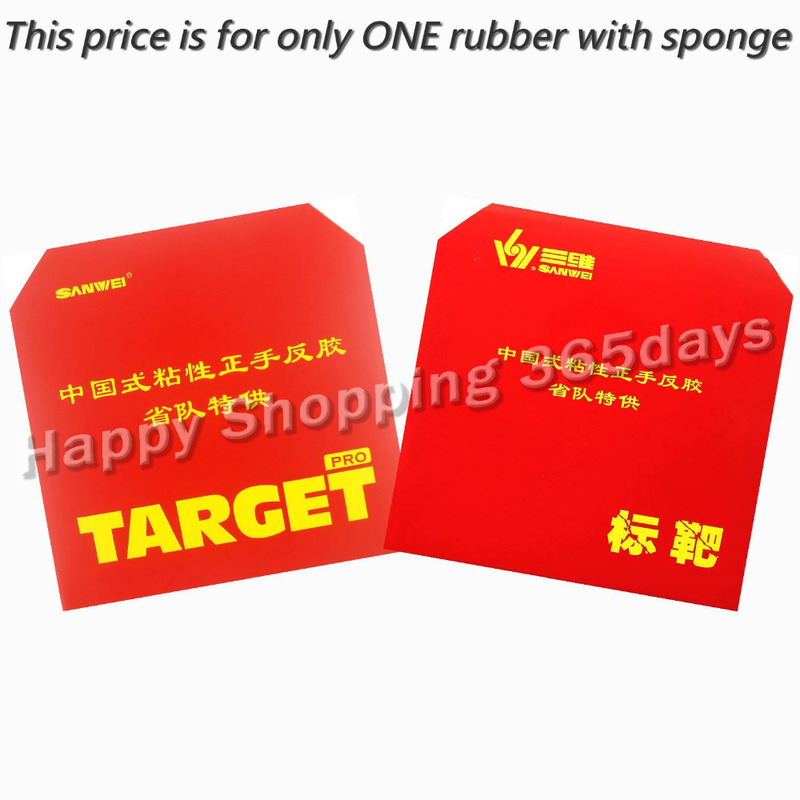 The cheapest variety is the "training version"
Or what other cheap rubbers for a topspin/looping style of play? Oh sure, they'd work on a Yasaka Extra (which is what, an all wood ALL/ALL+/OFF- five ply blade, right?). Just about any and all of these $5-$10 rubbers should work for a looping game, despite what you read in the descriptions. There are differences, for sure, but they'll be pretty minor. Since they're cheap, why not buy three or four and see which you like best (assuming you can actually tell them apart..)? You can always put spare sheets on loaner bats. I used these rubbers on an N11 and didn't like it at all for my game. Seemed to suit more flat hitting of a beginner nature. As soon as you start looping I think there are a lot better rubbers out there. It was able to lift backspin but I felt I needed to be be really committed and it took more effort. At the level it suits I don't think this combo would be any better or worse than any other chinese combo which we struggle to tell the difference. If you wish to loop I think there are better options such as Mars II which is a softer, slow, non-tacky rubber. We had a hit with 1.8mm 729 Cream Transcend last night and that was surprisingly fast perhaps due to its 45-47 deg sponge. On an Appelgren Allplay it was able to do all the shots. I've used Haifu whale for a season on a Yasaka Extra and it was good on my forehand, its just a little heavy. Since they're cheap, why not buy three or four and see which you like best (assuming you can actually tell them apart..)? You can always put spare sheets on loaner bats. Well, you know better than any else here that there are tens of rubbers in the $5-10 range of price - which 3 or 4 to chose first? And if the (randomly) chosen ones prove to be unsatisfactory, where to stop in trying others and others? This way, the experiments could easy arrive to cost (much) more money - spent for uncertain results - than the "safe bet" to buy one of the well established and verified Japanese / European types. I used these rubbers on an N11 and didn't like it at all for my game. Seemed to suit more flat hitting of a beginner nature. As soon as you start looping I think there are a lot better rubbers out there. Thanks @Cobalt - this is my impression, too, but I tend to "accuse" more the N-11 blade - which is very stiff - for this behavior. Still, I succeed to play some satisfactory loops (as these are, essentially, 90% of my "style") even with this combo, so that I hope to see some improvement with the YE (that I've just ordered). I've used 729 Super FX on a Yasaka Ma Lin Extra Offensive (a bit faster than your blade), and you may want to consider it for your forehand. It's a tackier rubber, and seems quite good for looping. Or you could go for H3, but it may be a little more demanding on technique.